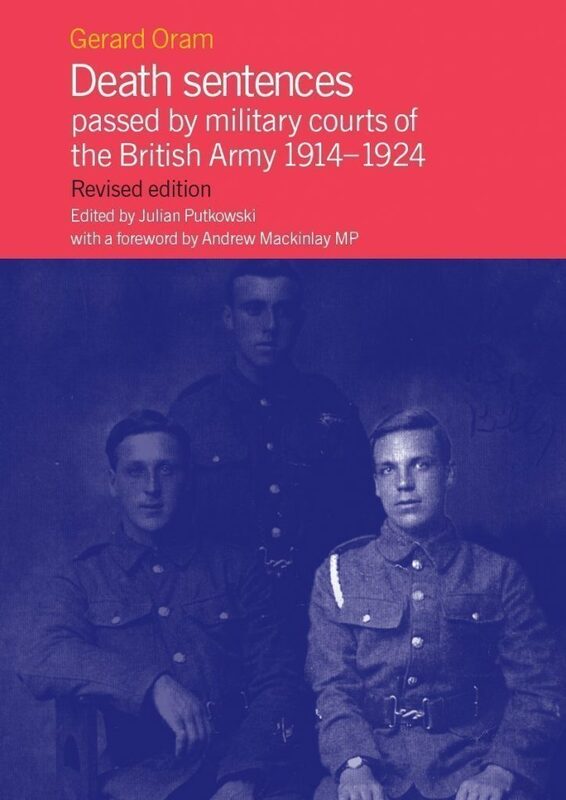 This book makes available information relating to more than 3,000 soldiers and civilians sentenced to death by military courts of the British Army during the First World War and its aftermath. This book makes available information relating to more than 3,000 soldiers and civilians sentenced to death by military courts of the British Army during the First World War and its aftermath. Details of these individuals are presented in two lists – one chronological according to the date of sentencing, the other alphabetical – together with Public Record Office numbers. Gerard Oram’s introduction succinctly explains the guidelines he has followed in compiling the information contained here. Gerard Oram is a social and cultural historian whose main interests are ideas and beliefs of the nineteenth and twentieth centuries. He is a lecturer in Modern European History at the Open University and the author of Worthless Men – race, eugenics and tthe death penalty in the British army during the First World War. The York Chasseurs were an expendable corps of ‘Serial Deserters’, dispatched to survive or die on the pestilential islands of the West Indies, where 26 per cent successfully deserted and 30 per cent perished. In this unique study Pete Lines examines in detail every aspect of the regiment: its composition, its involvement in the capture of the island of Guadeloupe; the desertions and punishments; and its eventual disbandment in Canada. The Promontory People tells the story of the ancient Cornish people as it has never been told before, using up-to-date archaeological, archaeo-linguistic and genetic research.